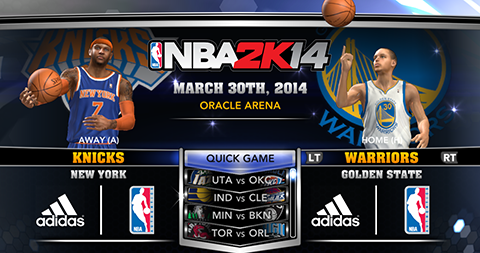 The latest NBA 2K14 roster from 2K sports is now available for download on all platforms, featuring team lineups that have been updated through March 30th, 2014. SG Orlando Johnson, previously with the Sacramento Kings, became a free agent. Other missing players: Chris Babb (Boston Celtics), Mike Muscala (Atlanta Hawks) and Justin Hamilton (Miami Heat). This roster update should download automatically as long as your console or PC is connected to the Internet. PC users can install the roster manually. Just use download link above and follow the instructions provided in the patch.